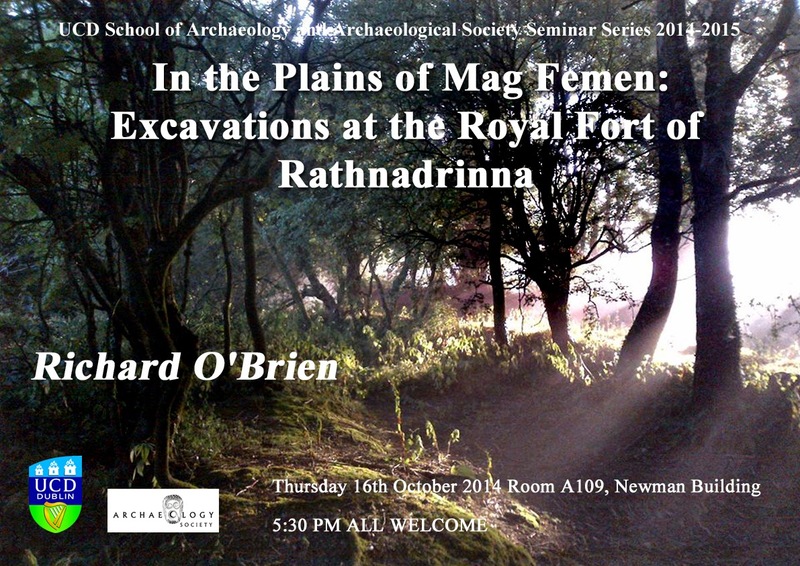 UCD Archaeological Society : Seminar series 2014/15: "In the plains of Mag Femen: Excavations at the Royal fort of Rathnadrinna"
Seminar series 2014/15: "In the plains of Mag Femen: Excavations at the Royal fort of Rathnadrinna"
"In the plains of Mag Femen: Excavations at the Royal fort of Rathnadrinna"
Essay writing seminar and workshop ! Annual trip abroad: destination Madrid! Society day trip to Carlow: the details!